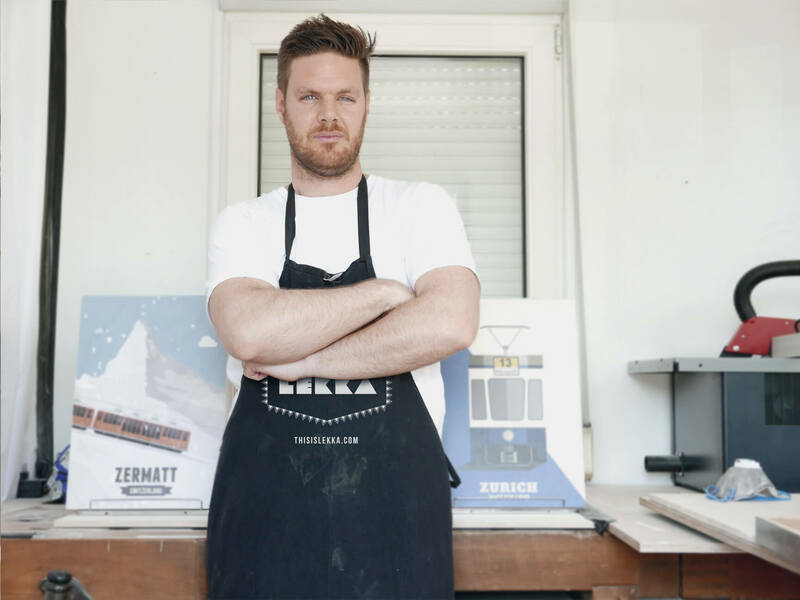 LEKKA launched in Zürich, December 2014 and with great success it has expanded online. Gareth brings together his graphic and interior design skills to create products that reflect current trends or simply pay homage to times gone by. The most recent range of locally Swiss made products is the “ Tour De Suisse “. He identified icons of Switzerland and re-positioned them in various design styles celebrating these sites in a more nostalgic way. Currently the ‘Tour de Suisse’ Range has a collection of 12 different Sujets in the form of: Prints on wood, Cards and Notepads. 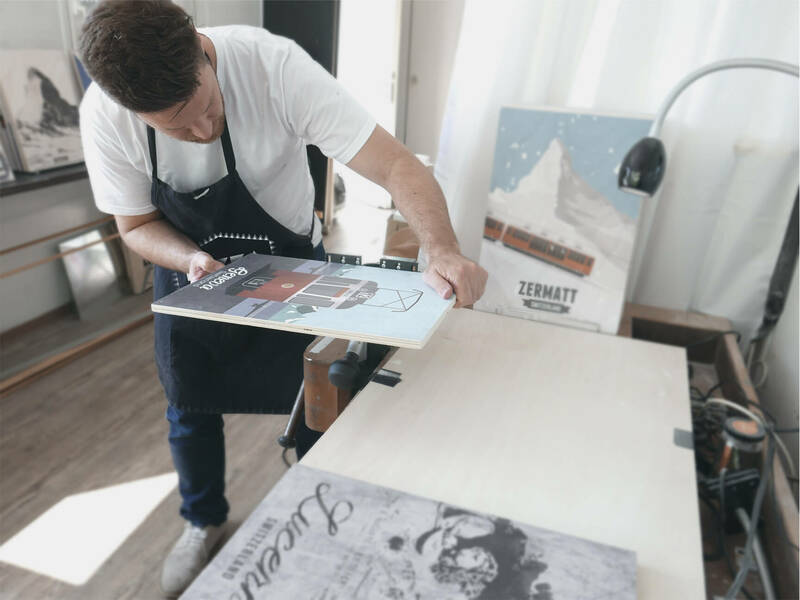 The Prints on wood have the images printed directly onto the wood surface and are finished by hand to give it that retro feel and charm. We are situated in Zurich, Hoengg Switzerland. Close to Meierhofplatz easy to get to with the Tram 13, Bus 46 or Bus 80. As we are a functioning design studio we might be closed at random times due to external client meetings.